Diets. Counting calories. We have all been there. We all want to look good in that cute swimsuit this summer, so we plan (a lot of soul-sucking planning) a diet and how many calories we can have in a day. I have spent many of hours planning what my diet will be and how many calories I can have for each meal, then by dinner I only have 200 calories left so I am left feeling hungry. However, I only ate the number of calories I was supposed to have! We all think that keeping track of how many calories we consume is key for weight loss. Well, sad news - not all those calories may be beneficial to my body if I want to lose weight and look great in that cute swimsuit at the beach. Is it healthy for your body to have those ingredients? It’s important to read labels and see what all you are putting into your body. I know I know, reading labels is annoying, but if you are wishing for that rocking body for the summer, it’s important and beneficial. Dieting only handles the symptoms rather than the cause. Let’s say that you have a clogged toilet and the plumber comes and says, “Ok, ma’am, you need to stop using your toilet, which will help the clog.” See, the plumber did not really fix the clogged toilet, only the symptoms. Eating poor quality foods may throw your fat-burning, appetite-taming hormones out of sync. We as people need to look at the long-term solution instead of a short term. If you eat healthy, whole foods, you do not have to count calories. Think quality over quantity. It is also important to look at how much you are exercising, how much sleep you are getting and how stressed you are. Losing weight is an individual process; you need to do what is best for you. People always tell me, “Oh, you should try this awesome diet! I lost 20 lbs in 2 weeks!.” So I try this “awesome” diet, and I only lose 1 lb in 2 weeks. Just because that “awesome” diet worked for that person, does not mean that my body will react the same way. Your body does not treat all calories the same. If you eat high-quality foods that are rich in nutrients, like leafy greens, nuts and chicken, you will fill up quickly and it will keep you full longer. It can also trigger the release of hormones that tell your body to burn fat (yay!). If you are eating processed foods or foods with added sugar and refined grains, they may not be inherently satisfying and you may end up overeating. These foods may prompt your body to store fat (boo). Sometimes counting calories may have you ignoring hunger cues. I have 400 calories left for the day, I need to use them all, but I am not hungry. Guess I will eat anyways. I am 300 calories over for the day! I cannot eat anything else, but I am so hungry. It’s important to listen to your body, it usually knows what is best for you. In the past, I have been able to get away with eating low-quality food and lose some weight, but I did not feel as energetic and not as satisfied. So, I always end up eating more than I should and then feeling more tired. If you overeat one day, do not freak out and continue to overeat because you feel you have ruined your diet - that makes you gain weight. One cheat meal (meal, not day, very important) is not going to ruin everything that you have done. Your body can handle the extra food without making you gain weight. It is healthy to keep your mind sane and happy; there is no use in completely punishing yourself. Just do not make a habit of eating like that every day. I know when I have focused on how many calories I have left, I am not enjoying myself or the food I am eating. Why punish yourself when you can eat delicious healthy food? When I have counted calories, I feel so restricted, out of control and not enjoying myself as much. I was worried about what I could eat at my next meal and if I was going to stay within my calories for the day. I have tried so many diets and failed at so many diets. I decided in January of this year that I was finally going to listen to my body. I am now eating whole and high-quality foods. I find recipes that I enjoy and that my body enjoys as well. My body has told me that I do not react to grains and dairy that well. I have more energy now that I have decreased those items (plus items such as soy, beans, and alcohol) from my diet. I am enjoying myself so much more and I am not spending so much time trying to do math with how many calories I can have. I am exercising more and my performance in my workouts has increased. I feel more energetic and not wanting to take as many naps, (I still love naps). As of today, I have lost 30 pounds just by choosing to eat whole and healthy foods (like Taziki’s!) and watching my portion control. I was able to run a half marathon (not running the entire time, let us be real). Now, I still have my cheat meal every now and then, but I am not feeling as guilty when I treat myself to a sweet treat. So, listen to your body and live the good life! Samantha was born and raised in Birmingham, Alabama and has worked for Taziki's for 11 years and started out as a cashier at the Taziki's Lee Branch location. She is now a Training Specialist and support for online ordering. 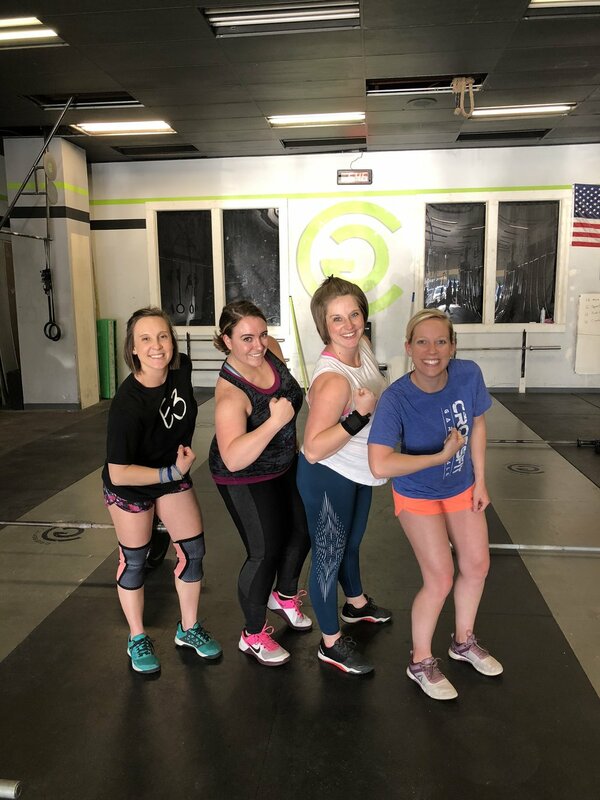 She does CrossFit at a local gym (CrossFit Gardendale), loves Disney and loves to cook. In February she completed her first half marathon, the Disney Princess Half Marathon. She will be doing the Tough Mudder in Nashville later in the year.